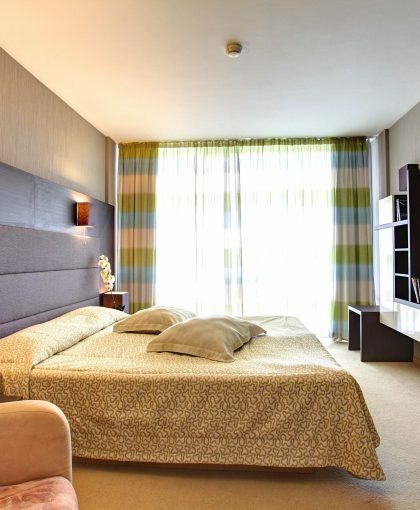 Comfort and style grabs you upon entering the Suite type apartments of Zornitza Sands SPA Hotel. 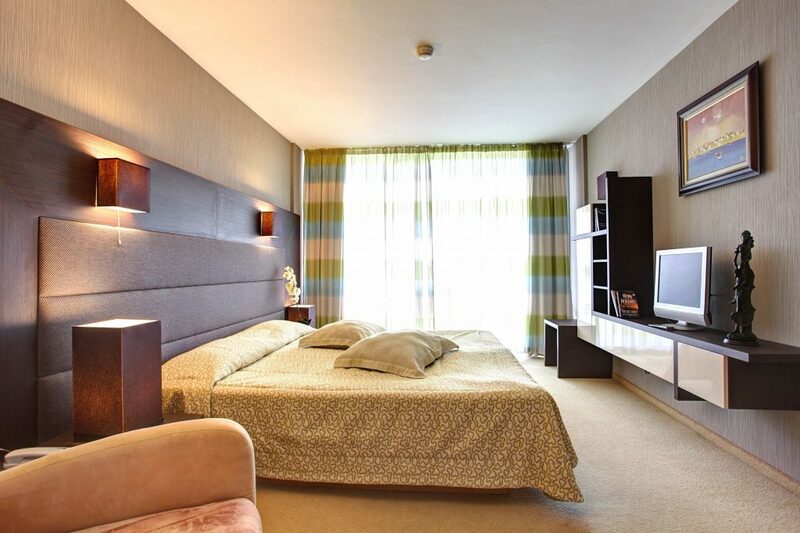 This comfort is spread on an area of 60 sq m in two separate rooms – bedroom and living room with bathroom and is supplemented by a large terrace of 30 sq m dunished with balcony furniture. The bathroom offers maximum number of amenities among which tub and shower, hair dryer and toiletries. When accommodating two adults in a double standard room 2 + 1/3 + 0, a child between 2 and 12 years of age is free of charge. When accommodating two adults in a double standard room 2 + 1/3 + 0 and a child at 12 years of age, the child is charged 75% of the price per person per night. When accommodating an adult with two children aged between 2 and 12 years old, each child is charged 50% of the price per person per night. When accommodating an adult and a child between 2 and 12 years old, you pay for the child 50% of the price per person per night. A third adult on an extra sofa armchair pays 75% of the regular bed per person per night. 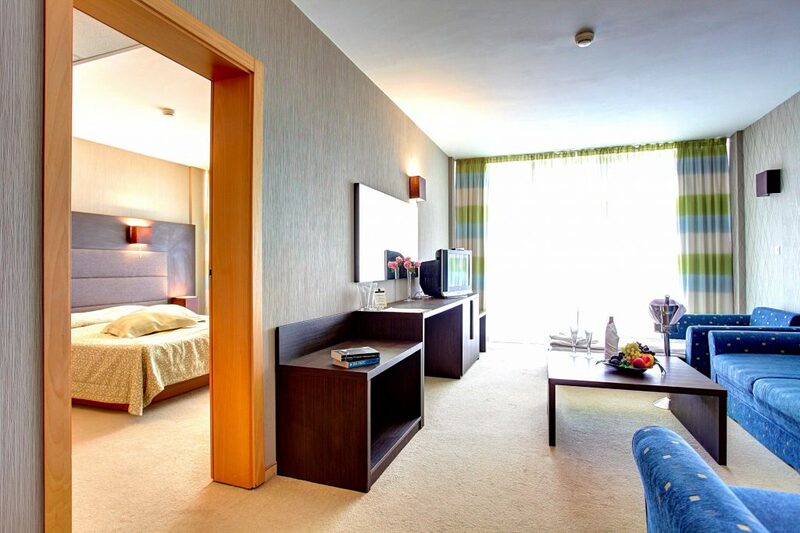 You surely will find the comfort which you deserve during your summer holiday in the Suit apartments. 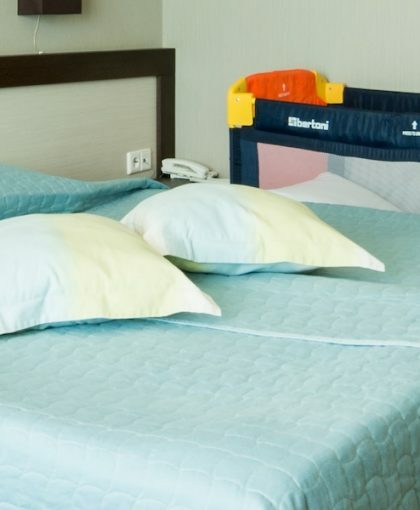 Junior Suit Deluxe is furnished with digital safe box, plasma or LCD TV sets, distant regulation of lightning, desk mini bar, telephone and air conditioning and more. 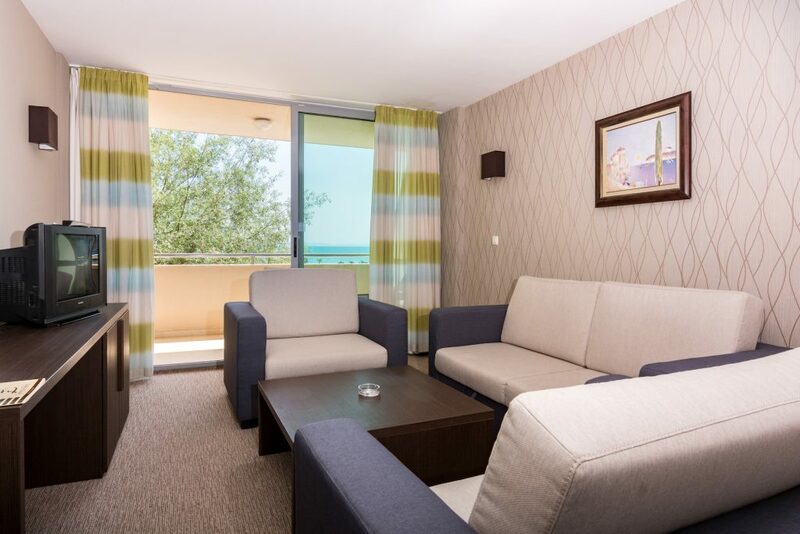 The renovated family rooms in Zornitza Sands SPA Hotel with central sea view are furnished with twin beds and two sofa armchairs. The Junior Suites in Zornitsa Sands SPA Hotel impress anyone visiting with their unique view towards the beach or the pool. Our apartments Suite type with central sea view are designed mostly for families with children but they are suitable for romantic holiday of a couple. 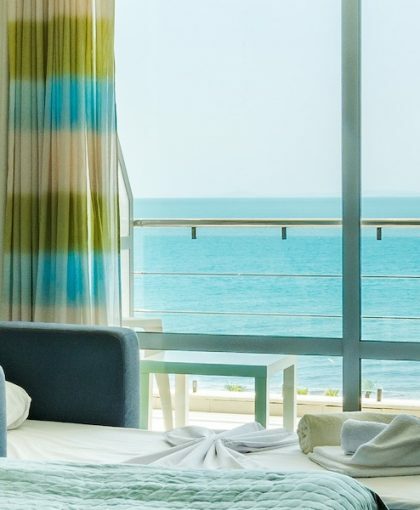 Our double rooms with central sea view have sunny terraces with comfortable furniture - the perfect place from which to admire the unforgettable view towards the sea horizon. 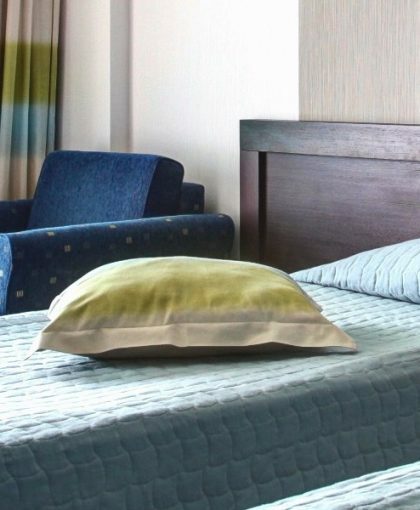 The family rooms are suitable for accommodation of a family with two children or of three adults and one child. The completely renovated standard rooms in Zornitza Sands SPA Hotel are equipped with anything necessary for your fulfilling holiday. 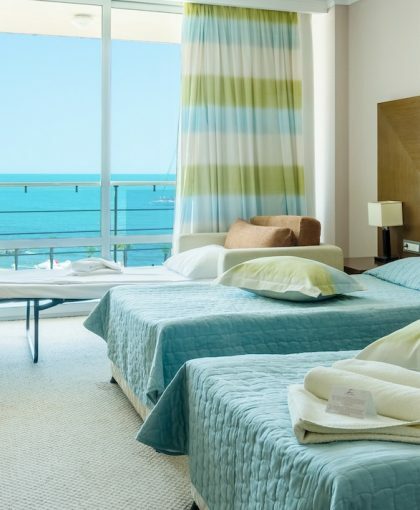 The luxury rooms in Zornitza Sands SPA Hotel are located around the pool of the hotel and they show incredible sea view.